Mukesh Ambani's net worth is nearly Rs. 2.5 lakh crore, according to Forbes magazine. 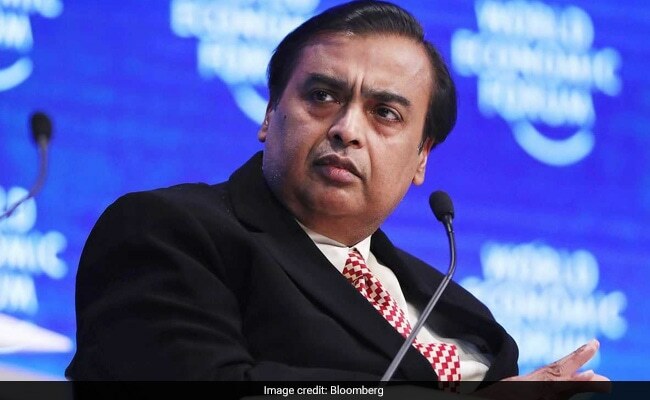 Reliance Industries (RIL) Chairman Mukesh Ambani remained on top of the Forbes list of 100 richest Indians for 2017 for the 10th year in a row with a net worth of $38 billion (nearly Rs. 2.5 lakh crore). RIL, the energy-to telecom conglomerate which is the most valuable company on the Indian bourses with a market capitalization of over Rs. 5 lakh crore, last year launched its telecom venture under the brand name Jio. Jio's thundering success in notching up 130 million subscribers in just a year since its launch, besides the company's improved refining margins, have pushed up share prices of Reliance Industries, boosting Mr Ambani's wealth. Mr Ambani, 60, cemented his decade-long hold on the top slot of Forbes magazine's annual 'India Rich List 2017', by adding a staggering $15.3 billion (67 per cent) to his last year's wealth to become one of Asia's top five richest. The wealth of 100 richest Indians rose by 26 per cent. "India's turbo-charged economy sputtered in the quarter ended in June as it grew at a three-year low of 5.7 per cent, due to the aftershocks of last November's demonetisation and uncertainties over the rollout of a nation-wide Goods and Services Tax. Despite this, the stock market scaled new heights and boosted the fortunes of the nation's 100 richest," said Forbes magazine. "Despite India's economic slowdown, the country's 100 richest have collectively enjoyed a bumper year thanks to a buoyant stock market. The top 100 club is getting more exclusive with each passing year," said Naazneen Karmali, India Editor of Forbes Asia, on its website. Wipro's Azim Premji was a distant second with a net worth of $19 billion, moving up two places from last year, while Sun Pharma's Dilip Shanghvi slipped from his earlier second place to the ninth ($12.1 billion). Anil Ambani, Mukesh's younger brother, was ranked at 45th place with $3.15 billion. He was ranked 32nd in 2016 ($3.4 billion) and at 29th a year before that. Patanjali Ayurved's Acharya Balkrishna, a close associate of yoga guru Ramdev, made a big jump from 48th place last year to 19th now with a net worth of $6.55 billion (about Rs. 43,000 crore). The richest newcomer on the Forbes list is cookies-and-airline tycoon Nusli Wadia at the 25th place with a net worth of $5.6 billion. Among the five other new entrants to the list are Dinesh Nandwana ( $1.72 billion) of e-governance services firm Vakrangee, Vijay Shekhar Sharma ($1.47 billion)of Paytm and Rana Kapoor ($1.46 billion) of Yes Bank. Veteran investor Radhakishan Damani, boosted by the listing of his supermarket chain D-Mart in March, was ranked at the 12th place with a net worth of $9.3 billion.